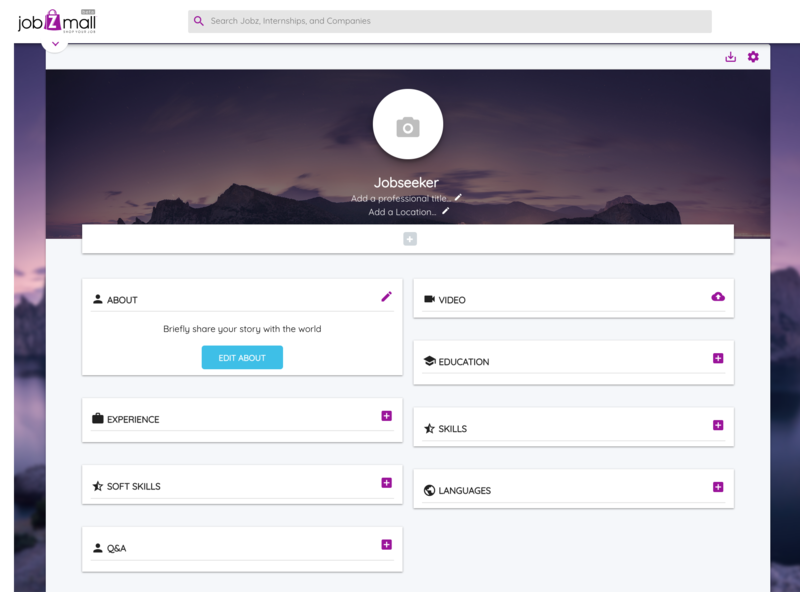 Your JobzMall profile helps you connect with organizations, show your unique skills and talk about your interests and inspirations. There are multiple sections for you to edit to get the best out of your profile. To type in your information for each of these sections, click add and fill in the boxes. Click the Me icon at the top of your JobzMall homepage. Scroll to the section you'd like to update and click the Add_On icon. Click into the applicable field and add, edit, or remove text.